One of the most common submissions in modern day jiu jitsu, the toe hold was rediscovered in the late 1990s by Rodrigo Medeiros, though the position had been popular in previous times, specially during the 1970s when instigated by the legendary Rolls Gracie. One of the most utilized moves in modern day jiu jitsu, the omoplata is an old position greatly developed in the mid 1990s. This attack can be utilized to submit, sweep (revert) or as a set up for a number of chokes, armlocks, wristlocks and other submissions in jiu jitsu. The history of the Baiana, one of the most common takedowns in Brazilian jiu jitsu, also known as the double leg in MMA and wrestling. Mata leão, meaning ‘lion killer’ in Portuguese, is the name of a popular choke-hold in Brazilian Jiu Jitsu, a choke that is called hadaka jime in Judo, and rear naked choke in the American grappling circuit. Here you will find a run down of the history of the rear naked choke, and the roots of the mata leão name. The darce choke (d’arce), also called brabo choke is an arm triangle type choke used in Brazilian Jiu Jitsu, MMA and other grappling styles, created in the mid 1990s, having since gained tremendous notoriety, particularly in the no gi facet of Jiu Jitsu. The brabo is a gi/kimono choking technique utilized in grappling related sports/martial arts whose creation is attributed to Leonardo Vieira in the early 2000’s decade, one of the top featherweights in the history of the Brazilian Jiu Jitsu as a sport. The inverted guard, also known as Roleta guard, tornado guard or upside down guard, is a creative grappling position developed in the 1990’s by Roberto Magalhães. 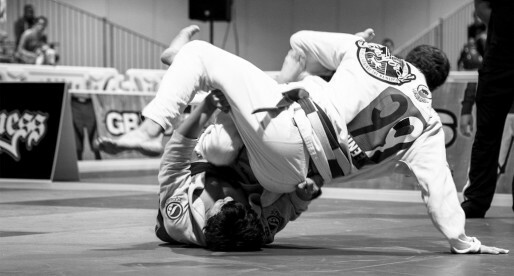 The term upside down/inverted guard is utilized when the guard player goes upside down and uses his legs and grips to keep the fight at a desired distance. 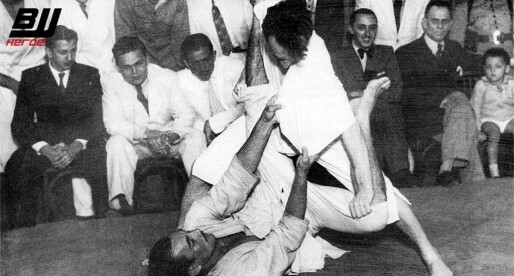 The Miragaia is a Jiu Jitsu position developed in the early 1990s by Renato Miragaia. The position became popular in the competitive circuit of the sport as it allows the fighter on top to limit the mobility of the guard player, utilizing this control to his advantage. 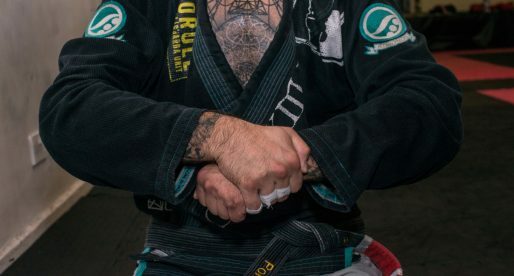 The rubber guard is a grappling position of origin unknown that was first seen being put to use in competitions by Nino Schembri in the late 1990s decade, later being also picked up by Eddie Bravo in the early 2000s. The half guard, is a grappling position developed in the early 1990s by Roberto Correa, a well known Brazilian Jiu Jitsu athlete. The position has since then transformed the landscape of combat sports, having particular use in Brazilian Jiu Jitsu, Submission Wrestling and Mixed Martial Arts. The Estima Lock is the name given to a specific footlock developed by two well known Brazilian Jiu Jitsu competitors, commonly known as the ‘Estima bros’, popularized mainly by Victor Estima who submitted some of the world’s best grapplers with this same move. One of the most popular back takes in the sport of Brazilian Jiu Jitsu, the Berimbolo was popularized by lightweight fighters in the late 2000s decade, though this ‘scrambly’ position originated in the mid 1990s. Find here all you need to know about one of the sport’s most revolutionary moves. The De La Riva started being developed in the early 1980s by a Jiu Jitsu practitioner named Ricardo De La Riva. The position would play an important role in the development of Modern Day Jiu Jitsu and is taught today as part of basic BJJ by most accredited Jiu Jitsu academies. The Open Guard is the most ancient of guard types in Brazilian Jiu Jitsu, the source of all other guard playing styles and also one of the most versatile. 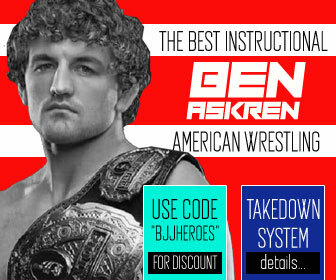 Learn about the biggest developers of the open guard game and the impact it had in grappling. The creation of the triangle choke is awarded to Tsunetane Oda, a famous Judo Master and direct student of Jigoro Kano, it was later developed in Jiu Jitsu with a series of technical advances made by BJJ athletes in the late 1970s, early 1980s. The history of the closed guard ‘boom’ in Jiu Jitsu starts at Osvaldo Alves’ academy in Rio de Janeiro. The closed guard, in Portuguese: guarda fechada, is regarded today as one of the foundations of guard work in Jiu Jitsu, often classified as the first line of defence of all the guard games in Jiu Jitsu. The Tozi Guard Pass, often referred as the Sao Paulo Guard Pass, or in Portuguese: Passagem Paulista; is a grappling technique created by former Brazilian Jiu Jitsu Pan American champion Roberto Tozi in the mid 2000s. The Spider Guard, is a grappling position which originated from the sport aspect of Brazilian Jiu Jitsu in the late 1980’s. 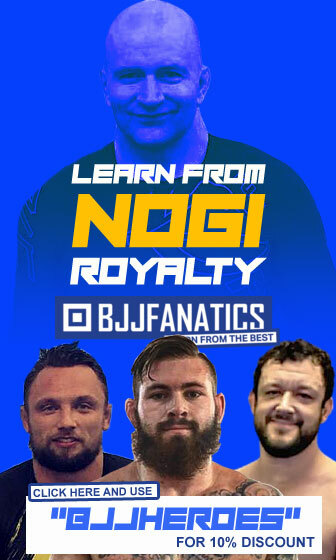 Here is a brief history and explanation of this important position in BJJ. 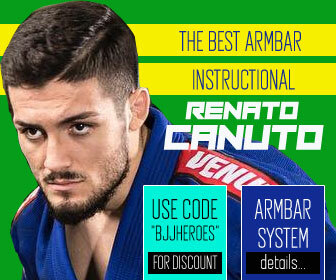 Its roots and the best competitors to watch using this effective guard. The guard is arguably the greatest contribution Brazilian Jiu Jitsu has given to Martial Arts, here is a run down of the guard’s evolution in the sport/martial art. and the main instigators of the position in sport BJJ and MMA/Vale Tudo. The guard player, known in Portuguese as ‘Guardeiro’, is a Brazilian Jiu Jitsu practitioner or competitor who has the guard as his preferred stance for combat.